Our ECP members enjoy “Exclusive Rewards” based on accumulated points system at the time of purchase in any of our outlets across the region. Based on these accumulated points, ECP members receive complimentary gift vouchers once they become eligible. How to Become an ECP Member ? 1. When a customer purchases products, worth of BD50/- or more at any of our outlets becomes eligible to apply for the membership. After the verification process, customer shall receive a magnetic plastic card within two to four weeks of time through a local courier service at the provided mailing address. Welcome to Our Members Club! 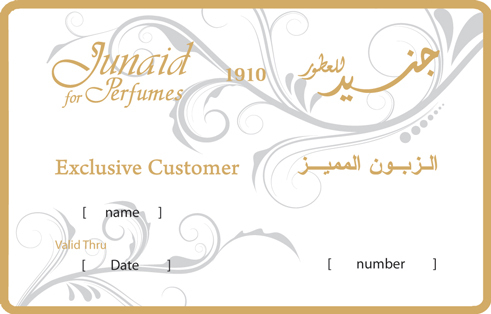 ECP card is ready to use next time you like to purchase. To earn and accumulate points, members must present the ECP card at the time of purchase. The points are accumulated on only purchasing SJA products at SJA outlets. How to Use ECP Card ? 1. For every 200 points on the ECP card, members are entitled to receive a Complimentary Gift Coupon” worth of BD 10.000. 2. The “Complimentary Gift Coupon” can be used at any of the outlets across the region with validity of five years from issue date. 3. ECP members enjoy the privilege of being the “first one to know” about our new launches, exhibitions and upcoming events through SJA exclusive frequent mails.